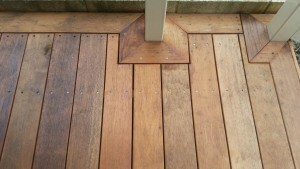 Dunsborough Timber Decking. Here at WA External Solutions we often get comments on the quality of our work and our staff, it is something that we pride ourselves on, Timber Decking and Timber Patios is the latest inclusion of a list of fabulous produts that we are offering, we can come to your house for an obligation free quote, please call 1300 660 978. Timber Decking is completed by our team of passionate qualified carpenters and sort the best solution visually for your project. Timber patios are custom designed on site to ensure a bespoke fit.